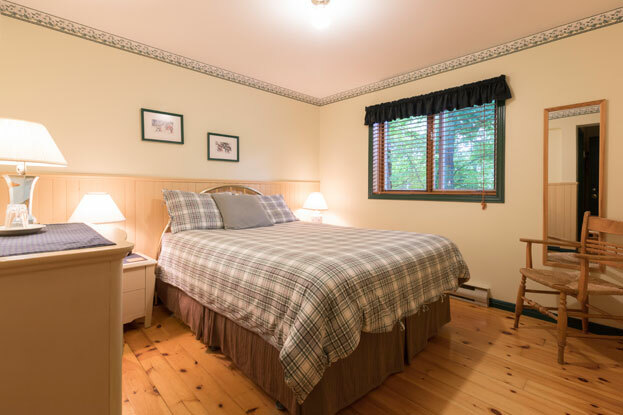 "Top 25 B&B's and Inn's in Canada"
The inn is located in the Laurentians, 1 km from Tremblant mountain resort village with shops, restaurants, ski hill and two golf courses: Le Géant and Le Diable. 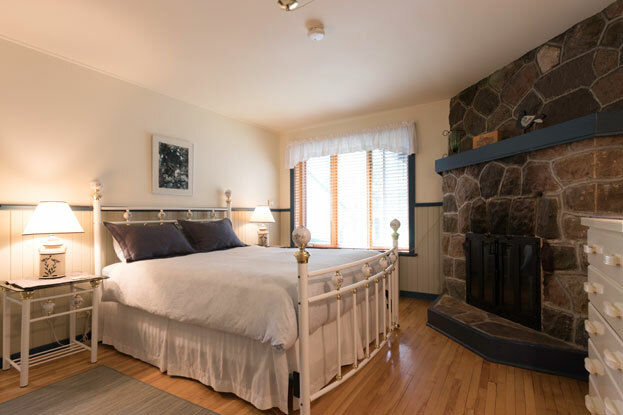 By Lake Tremblant with access to a private beach, the Inn is ideally situated in the center of all activities. A bike path, hiking and cross-country ski trails are at our doorstep. Nine rooms, all with private bathroom. Full breakfast included, free WiFi, free parking. 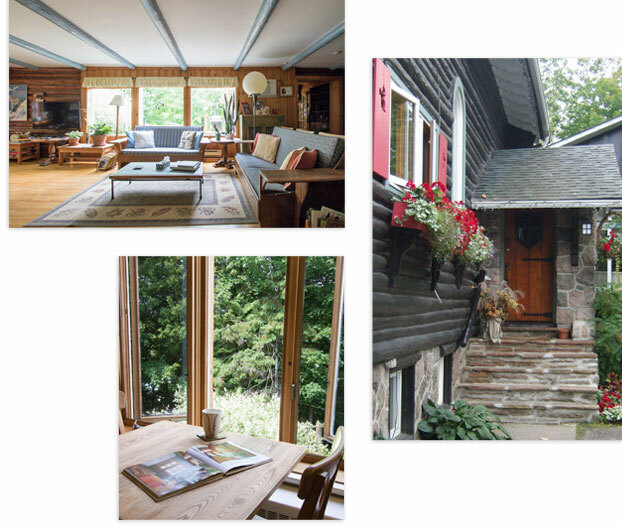 Sylvie and Pierre made sure to preserve the genuine ambiance and warmth of this beautiful Laurentian house. This large log house was originally a chalet built in 1945 by Victor Nymark the architect who also built the Château Montebello. 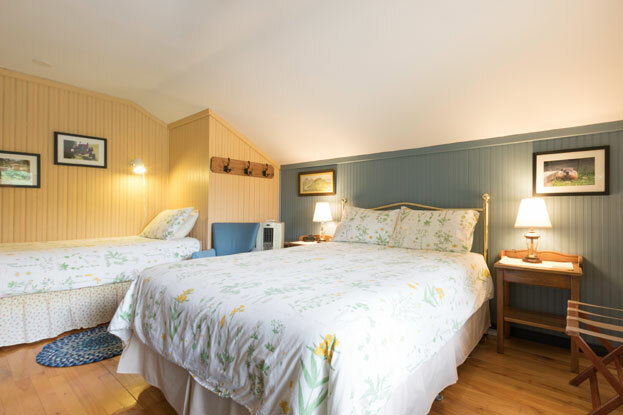 The Inn has 9 rooms all with private bathroom. The large living room of this rustic lodge has been the perfect host to numerous skiers and vacationers since 1991, rediscover the charming simplicity of relaxing by the fireplace after enjoying a great day outdoors. The Inn is also host of Petzl and Fofo two friendly wheaten terriers. Sylvie and Pierre will be happy to share their passion for the outdoors and inform you about this lovely region. Come spend a real relaxing holiday at our inn! At dawn, Pierre is already in the kitchen to prepare an early feast. 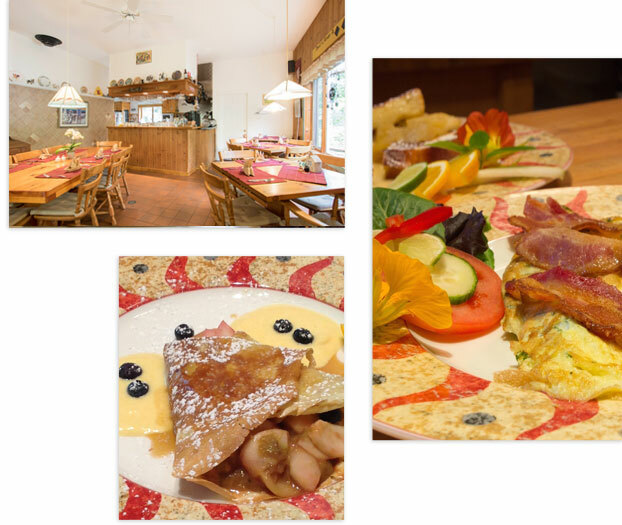 Every morning breakfast begins with a buffet where you will find fresh juices, fruit salad and citrus salad, yogurt, hot muffins accompanied by a Lupine specialties such as apple bread or bread. pumpkin and other delicacies. Then come the main plate, two choices are available to you: perhaps a homemade waffle served with fresh strawberries, mangos and whipped cream or a spinach omelette, cheddar and bacon. Every morning new choices will be offered, so you can enjoy many other delicious surprises. In addition to the filter coffee waiting for you and hot water for tea and herbal teas, Sylvie is always happy to prepare an espresso coffee to start this beautiful day. A vegetarian or gluten-free menu is available on request.